Rio Yañez has collaborated with visual artists, performance artists, writers, and other characters to create a series of プリクラ (Purikura) portraits. For a complete gallery of プリクラ by Rio Yañez & friends CLICK HERE. 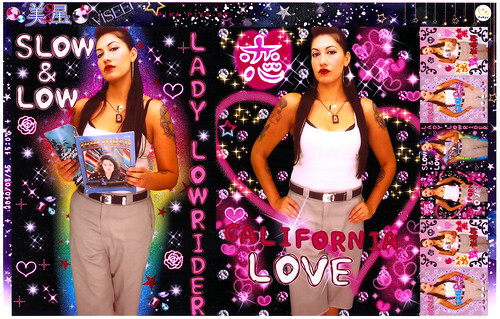 Much of my recent work has utilized Japanese photo booths (known as Purikura or “print-club”) as an artist’s tool to create images of Latinos using a uniquely Japanese medium. These booths are common in Japan. As a catalyst for creative expression and social interaction they are used primarily by young urban Japanese girls. 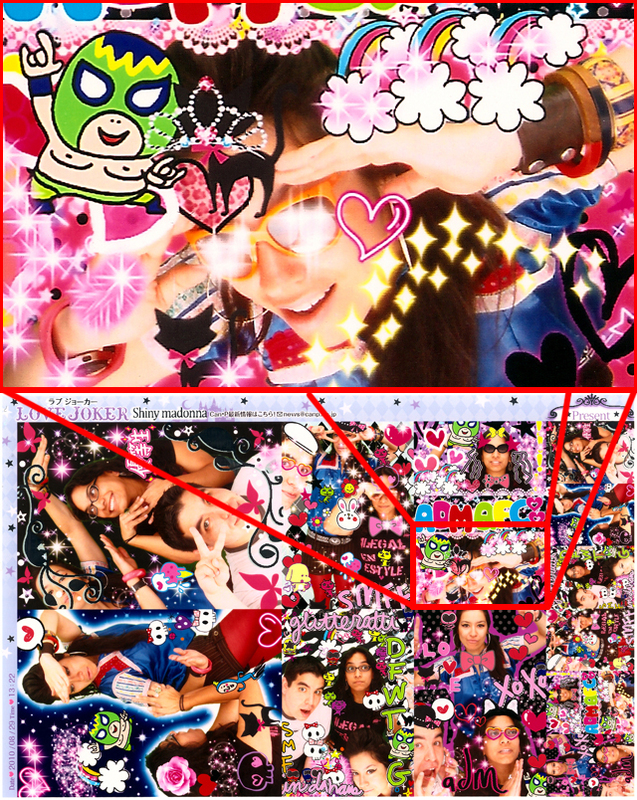 A standard feature in all Purikura booths allows the user to digitally decorate their portraits after they take them. The options are vast and include wild characters, excessive starbursts of light, pre-made phrases and the option to draw your own text directly on the image. Purikura, as a photographic and performative medium, allows my collaborators and I to explore identities and politics like never before. The majority of my photos have been taken at Pika Pika in San Francisco. It’s located inside the Kinokuniya Mall at 1581 Webster Street STE 225. 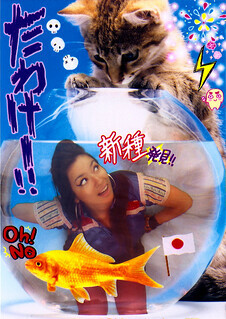 The original prints that most purikura machines produce are small 4”x6” prints. Each print is one-of-a-kind. Depending on the settings of the machine, many of the individual images can be quite small. In order to get a good amount of detail out of each sheet I scan them in at 1200 or 2400 dpi and clean them up in Photoshop.